Fashion Revolution week is in full swing, we remember the lives lost and those deeply effected by the impacts of the fashion industry. We focus on ways to make a change and to raise awareness about the massive human and environmental damages caused by our consumption habits. We look for new ways to shop, new ways to view our existing clothing and better solutions for our planet. Fashion Revolutions tag line is #whomademyclothes, they aim to inspire consumers to be more inquisitive about their purchases and companies to be more transparent with their manufacturing practices. We wanted to share our latest editorial this week because it is styled using only ethical and sustainably minded brands. 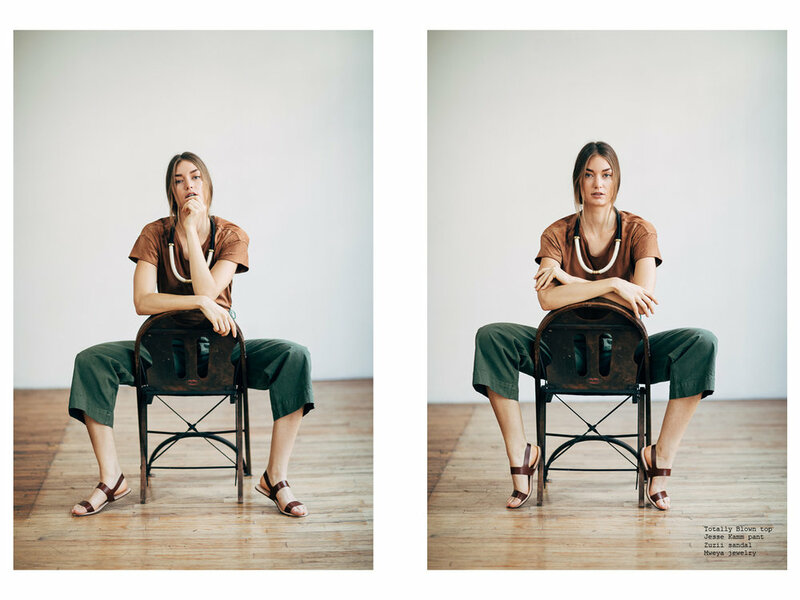 These pieces are handcrafted by the designers or made by local artisans and we have to say ethical fashion is looking pretty darn good these days. We linked up with Florum Magazine on this Webitorial, they are a green lifestyle, fashion and beauty publication and we couldn't be more honored to have them share this spread. Many thanks to all those involved in this shoot; the very talented photographer Alexa Miller, gorgeous model Masha Bacer, Heidi Baker of Ozma of California and all the other labels included in the shoot. Plus a big thank you to Florum Magazine! Below are some great Fashion Revolution articles by my fellow Ethical Writers Coalition members, check them and Fashion Rev out for ways that you can get involved!